Upcoming domestic macro data, rupee movement and heightened chances of a US rate hike will flare up volatility in the Indian equity markets during the coming week, experts say. Market experts feel that the situation might hinder the future prospects of the Indian equity markets which are at a cusp of recovery after being knocked out by the crash on "Black Monday" or August 24. 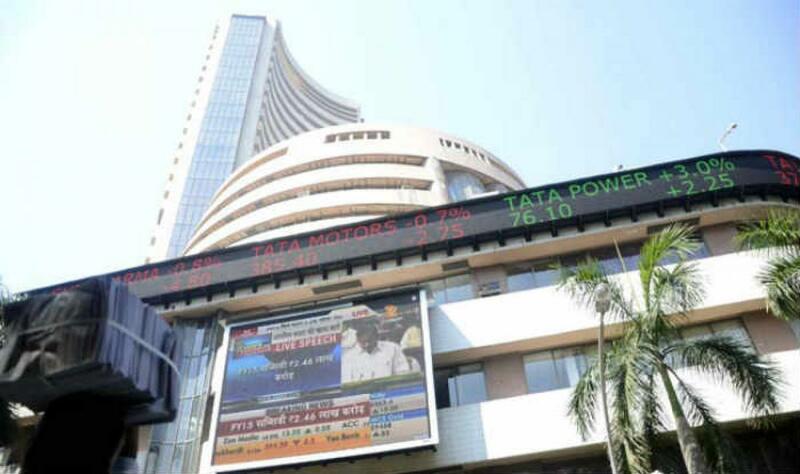 The knock-out blow wiped out Rs.7 lakh crore ($100 billion) in terms of marketcap on the barometer 30-scrip sensitive index (Sensex) of the S&P Bombay Stock Exchange (BSE) as it lost a whopping 1,624.51 points, or 5.94 percent - its steepest fall in terms of points. The major fall on "Black Monday" came on the back of the massive implosion in the Chinese markets and fears of economic output falling - leading the world a step closer to another recession. "Indian markets are bracing for the GDP and PMI data scheduled for release next week," Anand James, co-head, technical research, Geojit BNP Paribas, told IANS. A downward trend could also set in as a result of profit bookings on the back of the recent rally of the Sensex, which gained around 677 points on Thursday and Friday. "We could witness some profit booking at higher levels. Investors would also watch out for first quarter GDP data on Monday," said Rahul Dholam, senior analyst with Angel Broking. "After the recent volatility, we expect some calm to return to global markets next week." Other signs to watch out will be the data points like the automobile sales for August and value buying activity at the lower levels. Data from the US and the Chinese government's moves to stabilise their economies and markets, coupled with prices of commodities like crude oil, will also be on the investors' radar. "The trend in global markets and global macro economic data and movement of commodity prices globally will dictate the trend on the bourses. The market seems to continue its southward journey in the week ahead too," said Gaurav Jain, director with Hem Securities. Notwithstanding other major developments scheduled for the upcoming week, the markets will be anxious to get the slightest clue on the mother of all triggers - the upcoming decision of US Federal Reserve (US Fed) on rates. "The coming week will be dominated by global sentiments especially emanating from the US Fed rate hike dilemma - of better growth or the China-driven global uncertainty. The central bank's actions will be closely watched," said Devendra Nevgi, chief executive of ZyFin Advisors. The US Fed is expected to announce, during its policy meet scheduled on September 16-17, its decision to hike interest rates after a decade or so of easy monetary regime with rates pegged at near zero levels. The Indian markets are worried that the recent positive data points from the US have heightened chances of a rate hike in September. High interest rates in the US are expected to lead away foreign portfolio investors (FPIs) from emerging markets like India. This is also expected to dent business margins as access to capital from the US will become expensive. From a US rate hike to an Indian rate cut will be of interest to the investors - as contained inflation, reining-in fiscal deficit, a good monsoon coupled with a plunge in commodity prices is expected to build pressure on the central bank to ease the monetary policy. "Despite rains being 12 percent lower, hopes of a rate cut have increased, and is likely to be a dominant theme in September," James added. Reserve Bank of India (RBI) Governor Raghuram Rajan, in a recent interview to CNBC at Jackson Hole, Wyoming, said that he is not done with easing monetary policy. He added that any future decision will be data driven. Rajan is in the US for an international conference at Jackson Hole over the weekend and that is where the action is, according to some market experts. This is not just because of its unique geo-historical location or the scenic skiing terrain located along the border of Wyoming and Idaho, but for the Federal Reserves' annual retreat a fortnight before its policy decision on rates.